We’re in a talent race. Today’s job candidates expect much more from their employers than competitive salary and benefits. The nice-to-haves are becoming increasingly more important, especially for those candidates considering multiple offers. The world of work is evolving. Smart companies are finding ways to adapt. Employees come to to work get more than a paycheck. They want to genuinely enjoy their 9-to-5. Creating an environment where they’ll feel at home should be a top priority. That means when you’re shopping for office space, be strategic in your amenities search. Unless you’re a tech giant, it’s unlikely you’ll be able to offer every single shiny amenity under the sun. But looking for the right amenities that make sense for your particular team can have a overwhelmingly positive impact on your recruiting efforts. Here are a few amenities to consider when you start your search. In-building access to a gym is at the top of most lists. 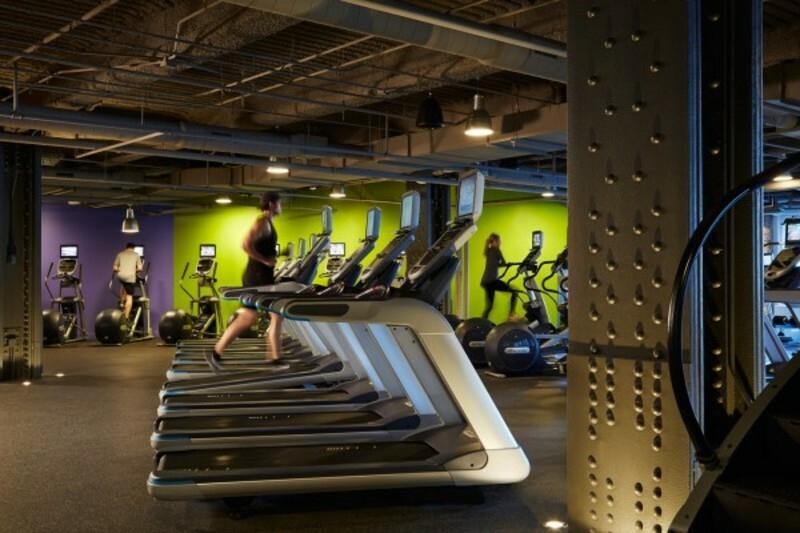 On-site gyms range from basic to premium. Some landlords retrofit an office into a small gym by installing locker rooms, showers and essential workout equipment and machines. Other buildings will contract with large third-party gyms and will fold pricing into your rent or charge a monthly fee. Either way, access to a gym saves your employees money and time. The shorter the trip to the treadmill or weight machine, the more likely employees will be to fold exercise into their routine. And of course, healthier employees make for happier, more productive ones. As urban planners are designing roads to be more bike friendly and bike share programs are becoming more popular, more people are biking to work. That begs the question of where to park your bike. 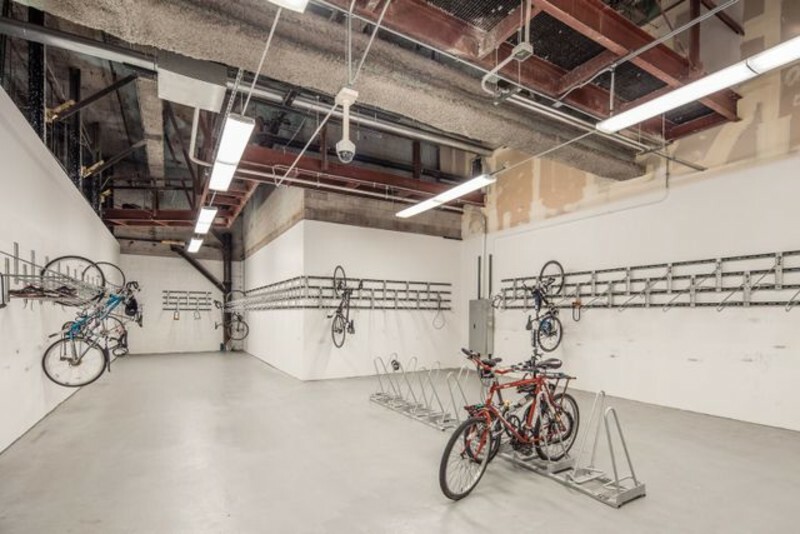 Bike rooms give your employees a designated space to securely lock their bikes away from the elements while they’re at work. No matter which skill sets you’re recruiting, all employees share one basic human need: People gotta eat. And they don’t want to have to trek far to do it, especially when it’s cold, raining or snowing. 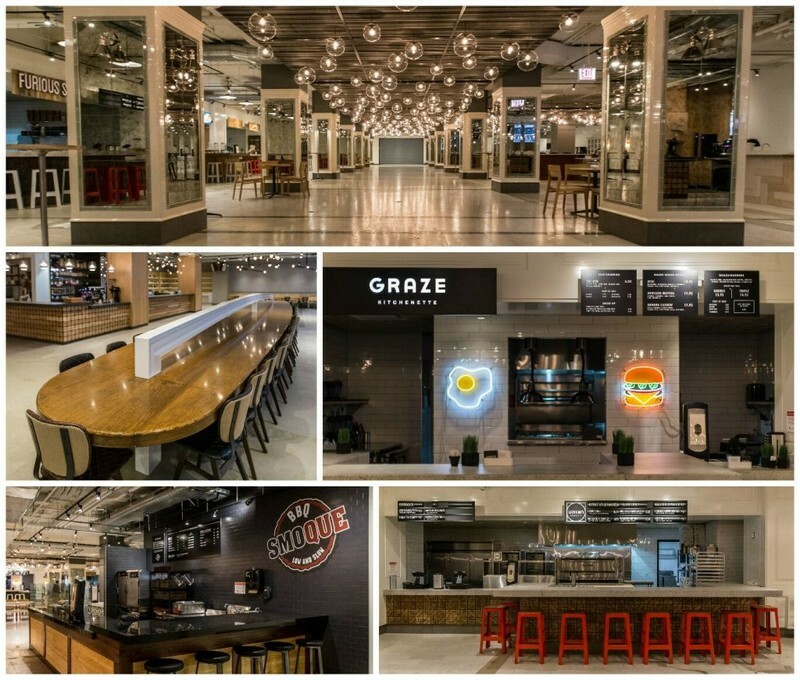 Buildings with fast casual food options and even coffee shops are huge for your employees. They can just go downstairs to grab food or coffee, no coat needed. When it’s nice out, the last thing anyone wants to do is sit inside chained to their desk. 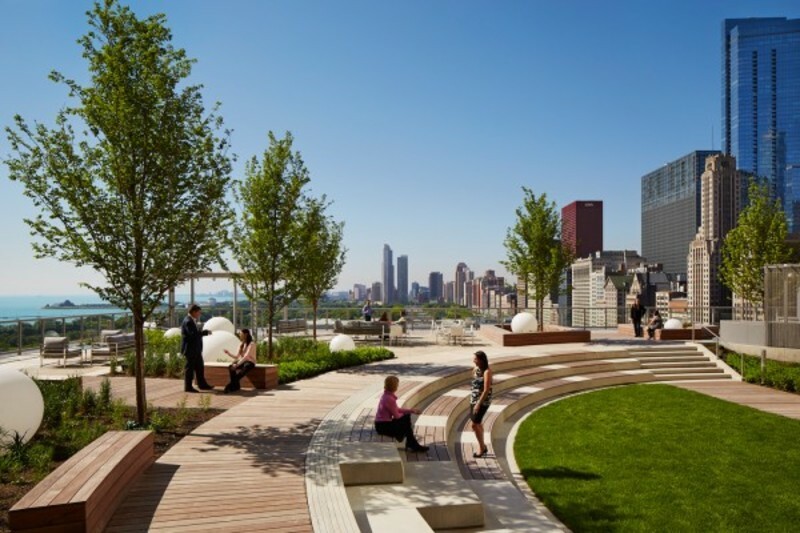 A roof deck with a view or an outdoor space with tables and benches offers employees the option to take meetings outside, eat lunch in the sunshine or hang out after work. Outdoor spaces also lend themselves for company functions. 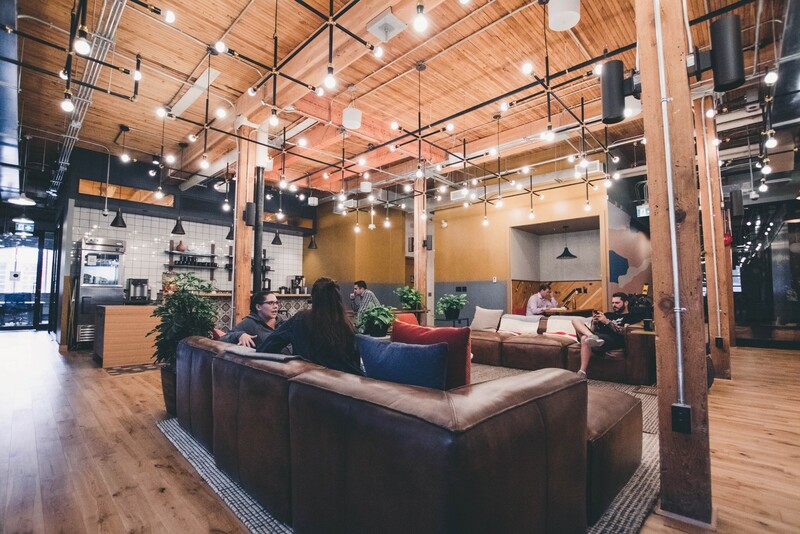 Use these spaces to your advantage and drive experiences that build company culture and collaboration. 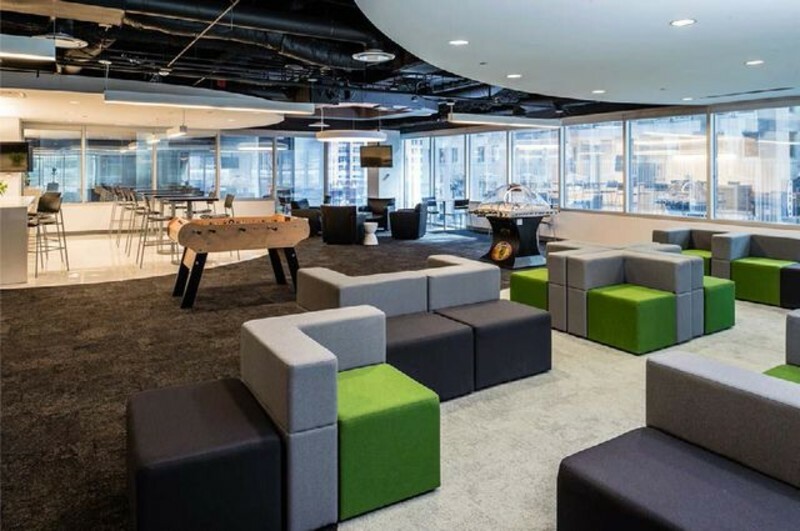 Common areas with comfy lounge furniture give employees yet another way to switch up their environment. These are usually wi-fi enabled and are a great place to take casual meetings or to focus on solo work. 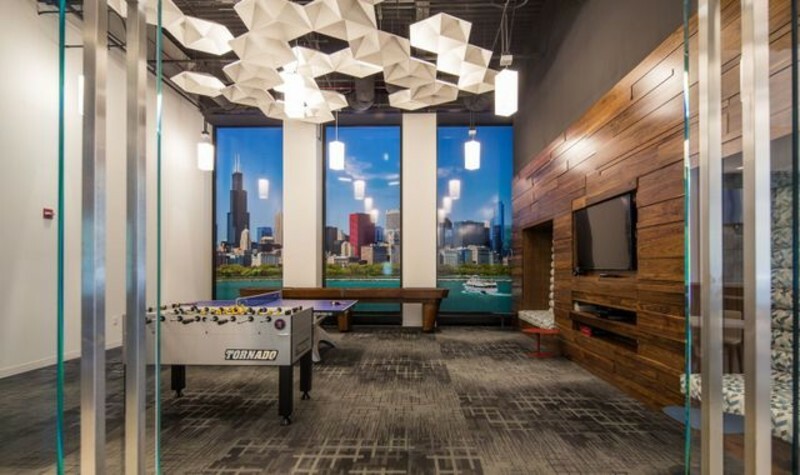 Game-focused amenities such as video game rooms, ping pong, foosball and pool add a dose of fun to your culture, inviting employees to break up the monotony of the work day. Some buildings even have golf simulators — which may or may not attract the talent you’re looking for. When it comes to these types of just-for-fun amenities, it certainly helps to know your audience. 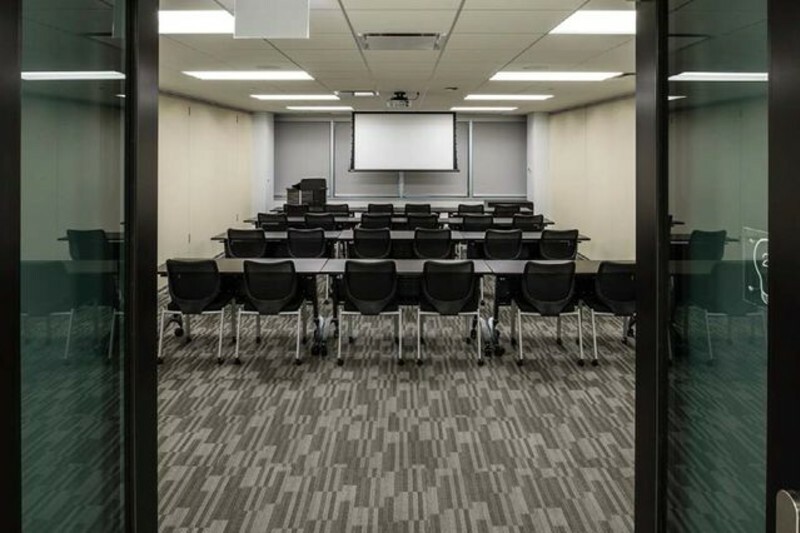 If you host training sessions, lead workshops, conduct focus groups or bring in employees from outside offices for team meetings, look for a building that includes tenant access to in-building conferencing centers. Instead of renting a larger office with large meeting spaces that will rarely get used, you can reserve these spaces as needed. When it comes to the amenity wars, remember this: People no longer see work as just a job. It’s now an experience. Being selective in which amenities you include in your office search helps you build a work experience, culture and environment that will attract your ideal talent.